Mark Selby won the fourth and last, high quality, leg of the series by 6-4 in Munich. He had two centuries 138 and 126 in the two first frames of the match. That leaves the boys at 2-2 at the end of their German/Austrian tour, with Mark edging it on number of centuries. There was no Internet at the venue, so, this time Jason Francis wasn’t able to keep us updated on twitter during the event, but himself, Snookerstars, Rolf Kalb, Theo Selbertinger (the referee) and fans (thank you Andrea and Bozena again) made up for it by posting images and “thank you” messages aplenty afterwards. The only disappointment was that the autograph session was restricted to the holders of VIP tickets. Other than the fact that this was how it was contracted, signing for 800 to 1000 fans would have taken quite some time (understatement alert) and the players were due to fly home in the evening. It was simply impossible to do within the time constraints. But it’s a pity for the fans who haven’t that many opportunities to meet these two great players in the flesh. Showing 15 years old Florian Nussle playing the double. He made the winning 49 clearance to win the frame. Today they will be back in Munich, for the last leg of the series. Ronnie leads 2-1. Should he win this afternoon, he wins the series, should Mark win, it will decided by the number of centuries made, and if they are even, on the highest century. As far as I know, currently, Ronnie made a 136 and Mark a 110 and a 147. It was all Mark Selby yesterday in Hamm as he won convincingly, beating Ronnie by 6-2, and making a 147 in frame 4 to put the cherry on the cake. Now, Mark might set a new trend here: cake your tip and ferule in super-glue and you become unbeatable! Don’t ask me why Ronnie looks like a security man … I have no clue! The calendar as published by World Snooker mentions an event in the far East scheduled for the second half of July 2017. Rumour had it that it would be in Hong Kong as part of the 20th year handover celebrations. This has now been confirmed, and some additional information about who might be there has now been disclosed by Michael Day on his blog, The Cue View . The third trophy of the new 2017/18 professional snooker season will be claimed at a special ‘World Snooker Masters Challenge’ event in Hong Kong this July. Many of the sport’s big stars are expected to line-up for this unique invitational tournament that is part of the 20th year handover celebrations. Wether Ronnie will be interested in this remains to be seen of course. Yesterday Ronnie and Mark Selby were in Hamburg for the first of four exhibitions in Germany and Austria with Snookerstars. The event is played under the Eleven-30 format, best of 11 with 30 seconds shot-clock. Ronnie won by 6-5, from 3-1 and 5-3 down, but Mark was unlucky when his tip came off in frame 10. Both had a century: 110 from Mark, 136 TC from Ronnie. Marks tip has come off so he is now borrowing ronnies cue! No close-ups and I think you can see why. Who else than these two could fill an arena this size for an exhibition match? Earlier this week I shared this article, that stated that Ronnie came to be interested in politics somehow because he realised that mental health issues are strongly correlated with poverty and social class. I mentioned that I disagreed with those views. Imagine a world in which the Labour Party had won the 2015 general election. The whole Brexit thing would (probably) never have happened. And even more significantly, we would now (probably) have a Prime Minister who loves snooker. Like most Brits who grew up during the 1980s, Ed Miliband developed a keen affection for snooker when it was the most popular television sport in the UK. The past 40 years of the World Championship at the Crucible have left him with some lucid memories of watching the green baize game with his family. “When I was growing up, everyone was interested in snooker,” he recalls. “My heroes were Alex Higgins and Jimmy White and I got hooked around 1982 when Higgins won it. I always rooted against Steve Davis because he seemed so perfect and he won all the time. “I remember watching Cliff Thorburn’s 147 in 1983. Then I have this incredible memory of sitting with my late father watching the 1985 final until after midnight. It seemed as if snooker was on television all the time back then and the characters in the game were something special – although there are also some great characters among today’s players. After graduating from Oxford in 1992, Miliband decided on a career in politics and progressed quickly through the Labour ranks. After the party’s landslide election victory in 1997 he was made a special adviser to Chancellor Gordon Brown, a position he held for five years. In 2005, Miliband became Member of Parliament for Doncaster North – a position he still holds – and the following year he joined Tony Blair’s front bench. In 2008, under Gordon Brown, he became Secretary of State. His older brother, David, was also among the cabinet at the time. Following Labour’s defeat in the 2010 election and Brown’s immediate resignation, the two siblings went head-to-head for leadership of the party. And it was Ed who triumphed to become Leader of the Opposition. His 2015 election campaign against David Cameron’s Conservatives was hard fought, and memorable for a BBC interview with Jeremy Paxman when Miliband was asked if he was tough enough to be Prime Minister. “Hell yes, I’m tough enough,” came the reply. But in the end it was tough luck for Miliband as the election went the Tories’ way and he stepped down from the Labour leadership position. Nevertheless, he remains an active back-bencher, spreading his views on ways to reduce inequality in British society. And his absence from front line politics may have given Miliband a bit more time to indulge his interest in snooker, as well as his friendship with Ronnie O’Sullivan. The two met via a mutual friend – the journalist Simon Hattenstone who writes for the Guardian and has also worked with O’Sullivan on his autobiographies. 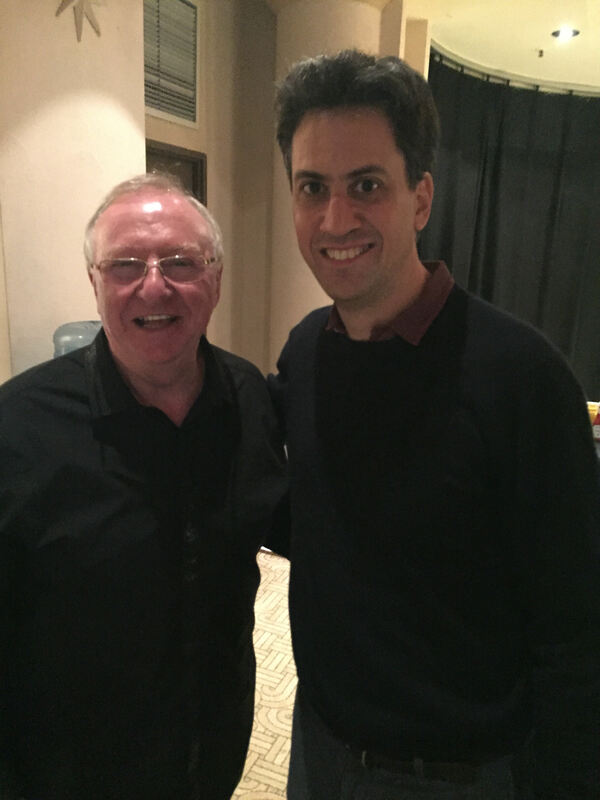 “Simon was interviewing me and for some reason he asked me if I liked snooker,” said Miliband. “I started going on about it and then he got Ronnie on the phone to speak to me. Since then I have got to know Ronnie and he has come to my constituency. He is a great person. I know some people think he’s controversial, but he’s a great advert for snooker. “He has an incredible personality and he’s got real depth. When I saw him talking to the young people in my constituency, he had a magical ability to talk about his own problems. He doesn’t try to pretend he’s had an easy life, he’s had ups and downs of all kinds, and that makes him more of a compelling figure. The admiration between the two is clearly mutual as O’Sullivan has – since meeting Miliband – become increasingly interested in politics, and particularly social inequality. 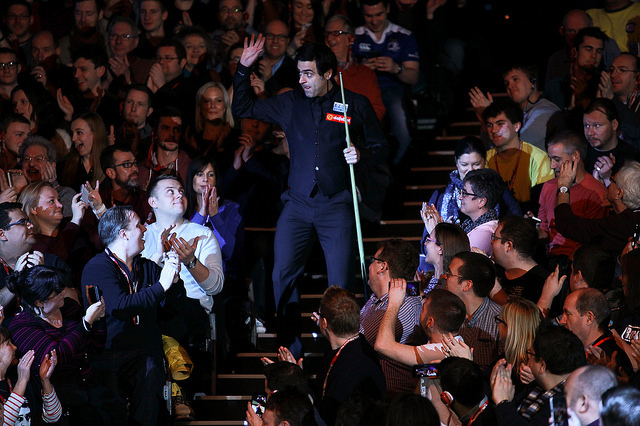 In January, Miliband came to watch live snooker for the first time. He was among the crowd for the Masters final at Alexandra Palace in London when O’Sullivan beat Joe Perry 10-7 to win the title for a record seventh time. As you can read, the way Ronnie’s involvement in politics started has absolutely nothing to do with the mental health problems he’s had to tackle. It happened by chance to a very large extend. Of course, it got Ronnie thinking, and of course difficult circumstances don’t help those prone to depression and anxiety, that’s only common sense and something he can relate to, but him getting interest in politics had nothing to do the mental health issues he had to battle. I’m certain that most of us fans will hope that these changes will apply to all Asian events played under the flat draw format.